Desiderio Alberto Arnaz y de Acha III was born on 2 March 1917, in Santiago de Cuba, Cuba. He was a musican, actor, director, writer and producer best known for his role as Ricky Ricardo in the hit television sitcom “I Love Lucy”. 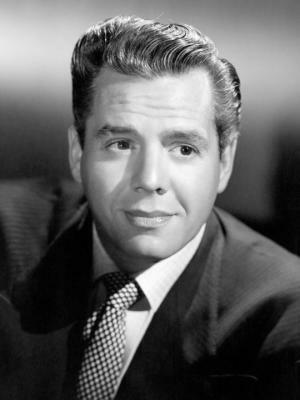 He was also well known for being the leader of the Latin music band Desi Arnaz Orchestra. The various efforts he was engaged in during his life solidified his net worth before his passing on 2 December 1986. How rich was Desi Arnaz? As of early-2016, sources estimate that his net worth was at $20 million, mostly earned through a successful career in both television and music. He was born into a rich family but had to move to the United States because of political turmoil. He wrote an autobiography and also owned a production company that helped increase his wealth. After their family fled to Miami, Desi attended St. Patrick Catholic High School and Saint Leo Prep, steadily working on his English. After school, he then looked to show business to support himself and found his first opportunity in the Broadway musical “Too Many Girls”. His appearance here earned him the opportunity into the show’s movie version and there he met his eventual wife Lucille Ball. Later on he would appear in movies like “Bataan”, and was drafted for the war, but was classified for limited service only. In 1951, Arnaz co-starred with his wife in the television show “I Love Lucy”, in which he played a fictitious version of himself. Producers initially thought that the married couple portrayal would earn resistance from American viewers, but the show eventually overcame all of that. Later on, they toured around the country, and soon after Desi would also pursue business. Together with Ball, Desi founded Desilu Productions and focused on broadcasting live television programs. Eventually, they were given the idea of a multiple-camera setup production style in front of a live audience that would later become the standard of all sitcoms. Arnaz had become the executive producer of “I Love Lucy” with his wife, and they also started to work on other television programs. In the late 1950s, he helped produce the series “The Texan” that would run for two seasons. After Arnaz and Ball’s divorce, Desilu still continued productions, and worked on “The Andy Griffith Show”, “Mission: Impossible” and “Star Trek”. Eventually Arnaz would separate from Desilu to create Desi Arnaz Productions, and the original company would become Paramount Television. Later in life, Arnaz would make only a few appearances, mainly in shows and television specials. He would also write his autobiography entitled “The Book”. His net worth was still maintained. For his personal life, Arnaz and Lucille Ball’s marriage from 1940 was well known and documented but it was also turbulent. They had two children, and eventually under the strain of their jobs they decided to divorce in 1960. Arnaz married again, to Edith Mack Hirsch in 1963, and would then reduce his show business work. Despite this, Arnaz and Ball still remained good friends and they were even seen together before his death. Desi was a smoker and smoked cigars until his 60s. He was diagnosed with lung cancer and died several months later due from the desease. Nicknames Desi Arnaz, Desi Arnaz, Sr.
1 "Lucy, I'm home", his catchphrase from _I Love Lucy (1951)_. 1 Lucy, she has no idea how happy she's made me. She's wonderful. I adore her with all of my heart. She's given me everything I could ask for. No pun intended, I Love Lucy. 2 One of the big reasons for the show's success is Lucy. She is the greatest. 3 Lucy had a quality which was rare; you can count the women who have had it on the fingers of one hand. While doing the wild antics of a clown, disheveled, rain-soaked, disregarding how she looked even with mud all over her, could make you laugh, and yet at the same time make you want to go to bed with her. 5 On Lucille Ball. She's not someone I am likely to forget. I love her and will continue loving her till the day I die. 6 On Lucille Ball: I loved her very much and, in my own and perhaps peculiar way, I will always love her. " 7 Failure is the most terrible thing in our business. When we fail, the whole world knows about it. 8 If you don't know what to do, don't do anything. 9 [after wife Lucille Ball was accused of being a Communist] The only thing red about her is her hair, and that isn't even real. 10 I Love Lucy (1951) was never just a title! 1 Desi had a younger paternal half-sister, Connie, from his father's second marriage. 2 Died three days after Cary Grant who died on November 29, 1986. 3 Was an avid golfer, fisherman and poker player, all of which he was seen doing on I Love Lucy (1951). 4 His mother Dolores de Acha died on October 24, 1988 at the age of 92. 5 He was awarded 2 Stars on the Hollywood Walk of Fame for Motion Pictures at 6325 Hollywood Boulevard; and for Television at 6254 Hollywood Boulevard in Hollywood, California. 6 A Republican, he was one of many conservatives actors in Hollywood who lent support to the elections of Dwight D. Eisenhower, Richard Nixon, and Ronald Reagan. 7 His distinctive laugh was perfectly imitated by Eddie Murphy many times during his stand-up comedy routine. 8 After their divorce, Desi produced Lucy's hit musical "Wildcat" on Broadway. 9 Once worked as a bird-cage cleaner. 10 Grew up being best friends with Albert Francis "Sonny" Capone, son of Al Capone. 11 In his 1985 will, he left a $250,000 trust fund for the benefit of his mother, who survived him. 12 In 1957, in an effort to expand Desilu, he sold CBS his and Lucille Ball's rights to 179 I Love Lucy (1951) 30-minute shows for $4,500,000. They also sold their rights to December Bride (1954) for $500,000 and CBS had exclusive rights to their public appearances for 10 years for an additional $1,000,000. With these profits, Desilu purchased RKO Studios for $6,125,000. 13 In 1957, he opened the Desi Arnaz West Hills Hotel, with 42 rooms and a restaurant featuring his own personal recipes, in Indian Wells. With all the time he spent with his new real estate ventures, he and Lucille Ball built a home on the 17th fairway at the Thunderbird Golf Club on land he won in a poker game. 14 In December 1958, in order to raise revenue for business and personal expenses, Desilu went public on the NYSE at $10 per share. Lucille Ball and Desi each retained 25% of the stock, with the swing vote going to key executives at Desilu. After paying gambling debts and expenses, he realized $70,000 to $80,000. 15 In 1953, with I Love Lucy (1951) the #1 show in America, Philip Morris, their primary sponsor, agreed to sponsor the show for an additional 2 and a half years for $8 million, $5 million of which went directly to the Arnazes and their company. 16 In 1953, Desilu was evaluated as being worth $10 million, did a gross business of $6 million and made the Arnazes a net profit of $600,000 before taxes. This was added to an additional $500,000 in income from I Love Lucy (1951) merchandise. 17 In 1945, after his service in the Army, he found himself $30,000 in debt, mostly due to back taxes. Lucille Ball helped him pay his debt, but due to his pride, considered it a loan, and kept a strict account of the money he owed her. 18 In 1950, along with wife Lucille Ball, in an effort to find a way to work together, formed a production company with $5,000 of their own money, naming it 'Desilu' which is what they had named their ranch in Chatsworth, California. He remained president of the company until selling his interest to his ex-wife in 1962 for $3 million. 19 In 1957, recognizing the need for the company to expand, he purchased the real estate of the former RKO Studios, home of Lucille Ball's former employer. The industry balked at their decision to plunk down $6,150,000 for the fledging studio property, but it was a strategic move that ultimately made both he and Lucy millionaires. 20 Biography in: "The Scribner Encyclopedia of American Lives". Volume Two, 1986- 1990, pages 32-34. New York: Charles Scribner's Sons, 1999. 22 Brother-in-law of Fred Ball. 23 Ashes were scattered at sea. 24 According to Mafia boss turned government informant Jimmy "The Weasel" Fratianno in his book "The Last Mafioso", several top members of the Chicago Mafia family were furious about the portrayal of Italians in general and the Mafia in particular in The Untouchables (1959), of which Arnaz was executive producer, and put out a contract on his life. Several mob hitmen hid in the bushes and behind trees outside his house one night after having been tipped off that he was on his way home and were going to shoot him when he pulled into his driveway, but for some unknown reason Arnaz never came home that night. The killers were supposed to come back again and wait for him the next night, but in the meantime cooler heads prevailed and the murder plot was called off. Arnaz apparently never found out how close he came to being murdered. 25 Author of the candid autobiography 'A Book', detailing his alcoholism and infidelities. He had planned to write a sequel, called 'Another Book'. 26 Instrumental in the creation of numerous classic TV series, in particular The Untouchables (1959). 27 Invented many techniques that are now taken for granted in sitcoms, including the use of several cameras to film the performance, preceding performances with a warm-up act, performing before a live audience, and the rerunning of old episodes. 29 In the film The Mambo Kings (1992), he was portrayed by his real-life son, Desi Arnaz Jr..
30 For many years during their marriage, Desi and Lucille Ball hid the fact that she was six years older then he by splitting the difference in their ages. She (born in 1911) said she was born in 1914 and he (born in 1917) also said he was born in 1914. 31 Ironically, the radio show on which I Love Lucy (1951) was based, "My Favorite Husband," was itself based on a book entitled "Mr. and Mrs. Cugat." Arnaz worked for Xavier Cugat during this time. 32 Father of _Lucie Arnaz_ and _Desi Arnaz Jr._ with _Lucille Ball_. Aloha 2015/I performer: "I Love Lucy Theme"
30 Days Until I'm Famous 2004 TV Movie performer: "Straw Hat Song"
I Love Lucy's 50th Anniversary Special 2001 TV Movie documentary performer: "California, Here I Come", "Babalu Babalú"
I Love Lucy 1953 performer: "Down Argentine Way"
Holiday in Havana 1949 writer: "Holiday In Havana", "The Arnaz Jam"
Land's End 1968 TV Movie composer: theme music "I Love You"
1960 Star on the Walk of Fame Walk of Fame Motion Picture On February 8, 1960. 6325-1/2 Hollywood Blvd. 1960 Star on the Walk of Fame Walk of Fame Television Awarded February 8, 1960 at 6254 Hollywood Blvd.